This is the second in a series of posts analyzing the data that Arlington County has been collecting from its automated bike and pedestrian counters. My previous post compared ridership from 2009 to 2010. 2010 ridership was higher by 11%, but the weather may have been the deciding factor. This post looks at the data again from a different perspective. It should be noted that the highest ridership day of all was actually Saturday, Oct 30, 2010 with over 1,600 cyclists. This number was clearly an anomaly; ridership was skewed by the Stewart/Colbert rally on the mall, so I disregarded it for the sake of this analysis. 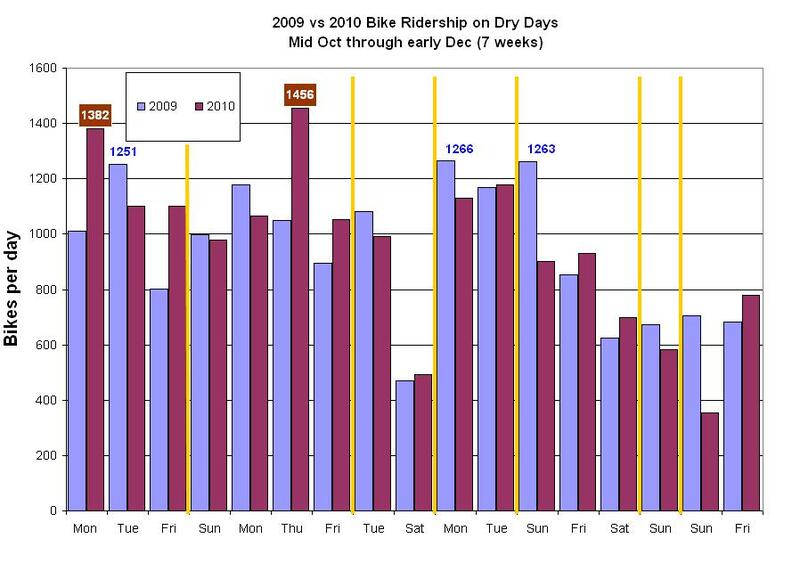 This analysis, which eliminates rain as a factor, shows a gain in ridership but not as much as my previous post. 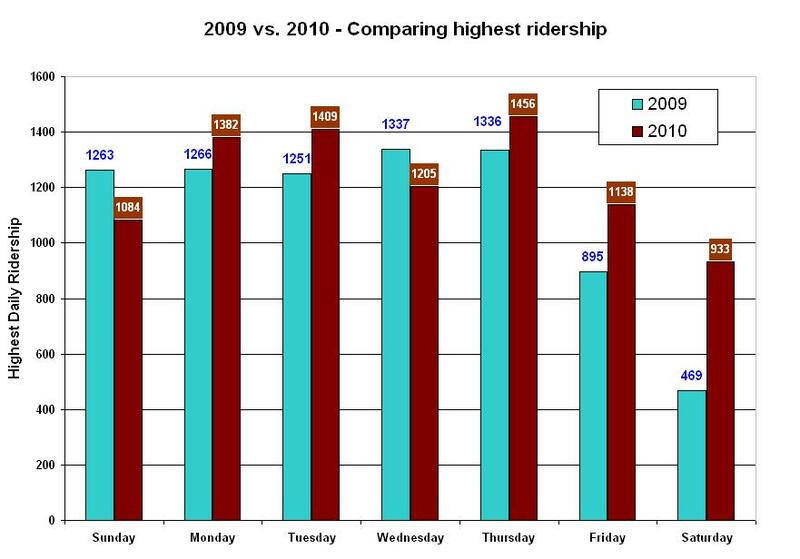 This analysis, in contrast to the other two, shows only a very small gain in ridership from 2009 to 2010. However, other factors, such as temperature, almost certainly also had an effect on the results.